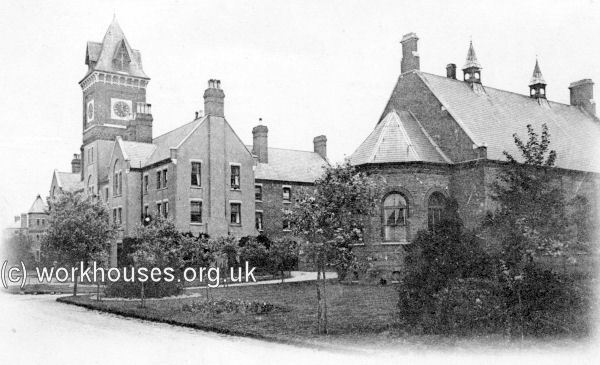 In 1876-8, the Metropolitan Asylums Board erected a residential institution for imbecile children at Darenth in Kent. The buildings were designed by A & C Harston and their construction cost £88,750. 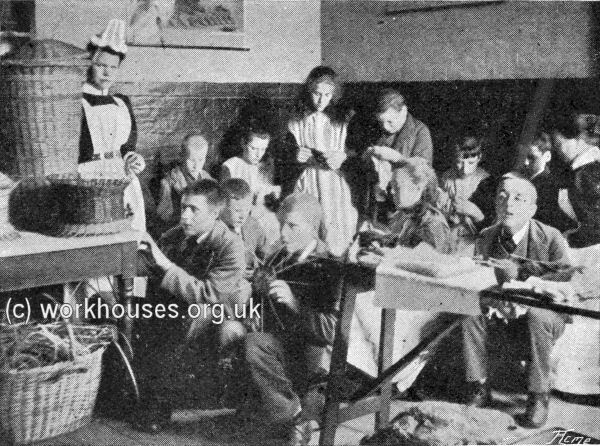 The Darenth Schools opened on 18th November 1878 and accommodated 560 children between the ages of 5 and 16. Children were given a special course of education and manual instruction. The buildings comprised a central administrative block, with kitchens and laundry to the rear. Girls were accommodated at the west side and boys at the east. The chapel and school rooms were located at the girls' side while a dining an recreation room lay in the corresponding position on the boys' side. 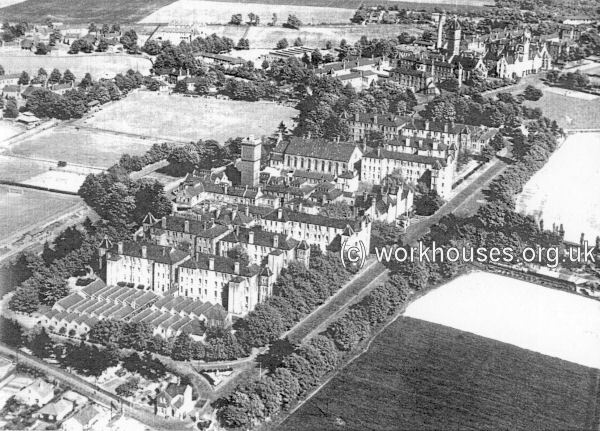 The accommodation blocks included a day room on the ground floor with dormitories on the upper floors. Darenth schools from the west. Two years later, in 1880, the Board erected a separate institution on an adjacent site to the east of the schools for 1000 patients. It was intended to receive children from the Schools site, with "improvable" patients being given further workshop training, and the more severely being placed in a separate part of the building. Darenth adult section from the south-east, c.1930. In the 1880s, pressure on the Board's adult asylums at Caterham and Leavesden was such that Darenth was forced to start admitting adult patients directly. In order to cope with this, a further ten single-storey pavilions, five for males and five for females, were erected in 1888 at the north of the site. Each block consisted of a large octagonal day room with two radiating dormitory wings. The blocks were all connected by covered walkways. The layout of the Darenth site is shown on the 1909 map below. Continuing growth in demand for places was then met by the erection of another asylum for adults at Tooting Bec in 1903. 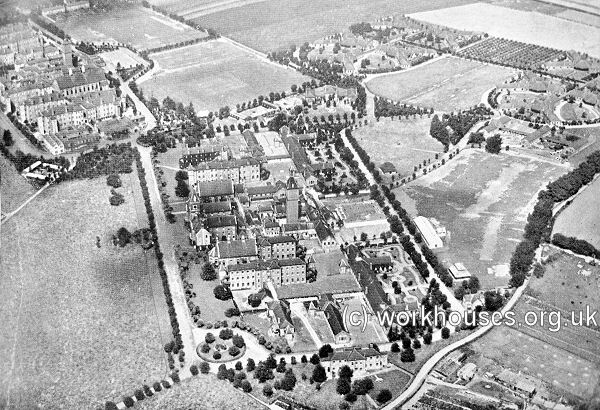 The following year, a training colony was established at Darenth where "higher-grade mental defectives" were taught industrial skills and crafts. 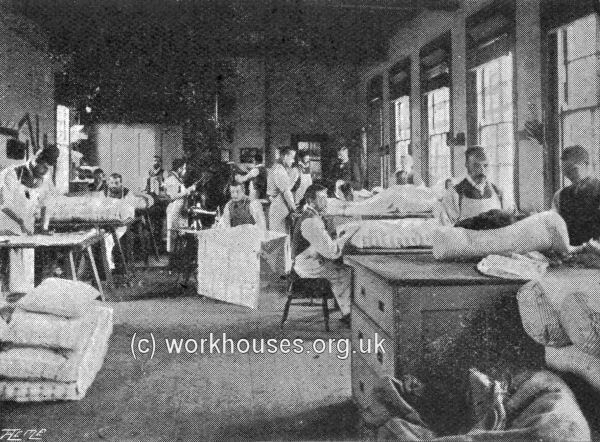 During its first year of operation, about 400 males and 300 females were employed for up to 41 hours a week in a variety of occupations which included engineering, farming, plumbing, and the production of every type of requirement for the Board's other institutions, from clothing and bedding to domestic equipment. Darenth had its own farm located to the south of the asylum buildings. 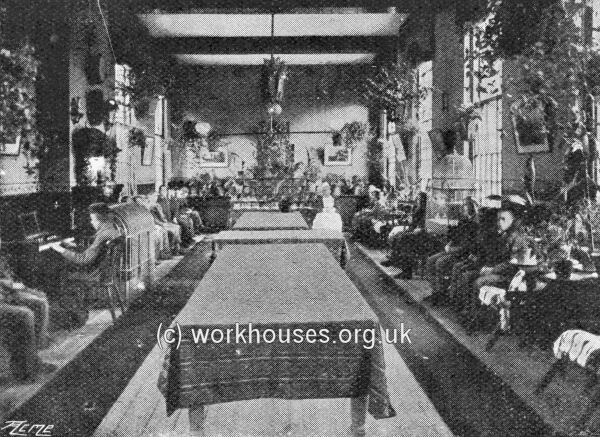 Darenth training colony — day room, c.1899. Darenth training colony — basket-making, c.1899. 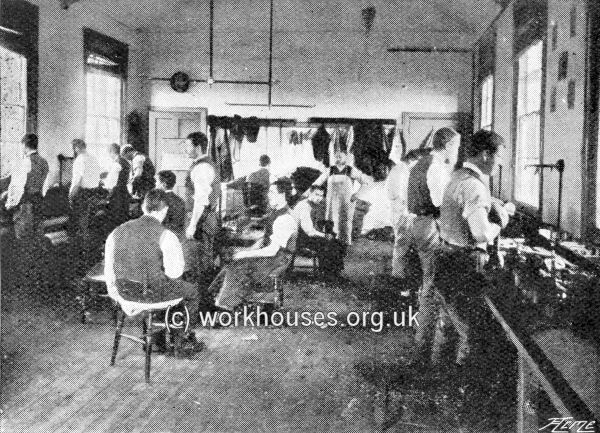 Darenth training colony — tailoring department, c.1899. Darenth training colony — boot-making department, c.1899. Darenth training colony — upholstery department, c.1899. 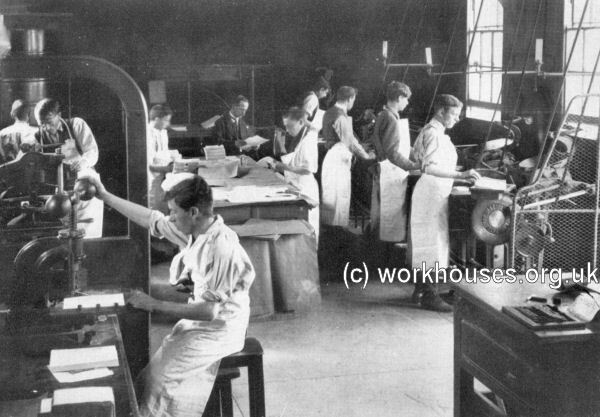 Darenth training colony printing shop, c.1930. 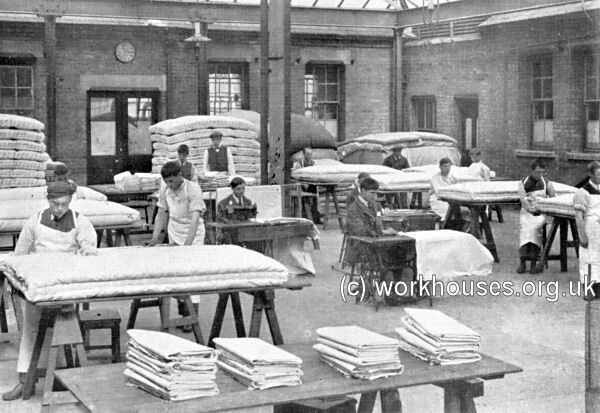 Darenth training colony mattress making, c.1930. 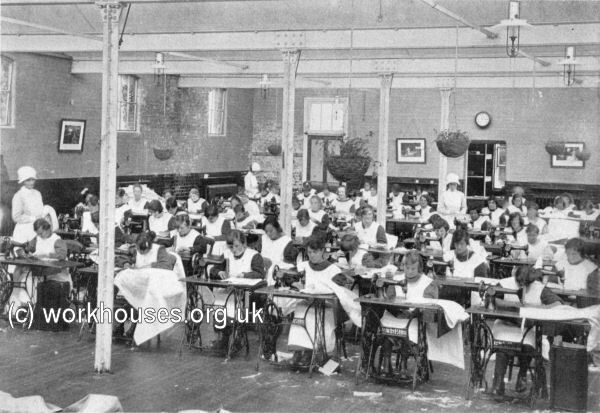 Darenth training colony sewing class, c.1930. Darenth training colony Girl Guides, c.1930. 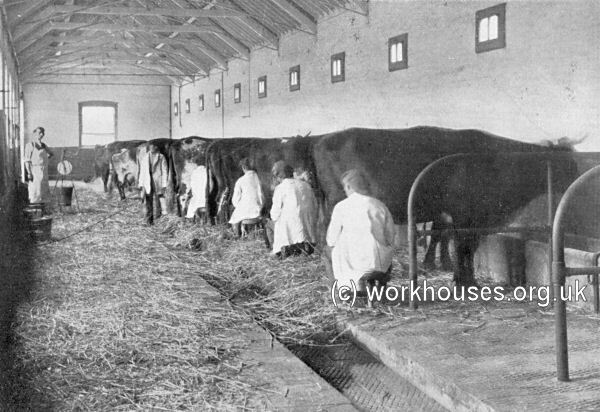 Darenth training colony milking parlour, c.1930. 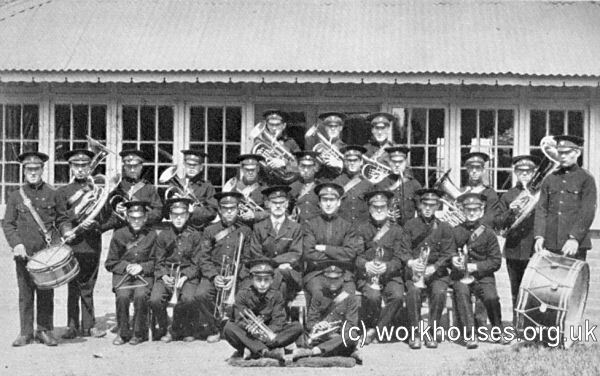 Darenth training colony band, c.1930. Darenth began to be run down in the late 1960s and finally closed in 1988. All the buildings have now been demolished and the new Darent Valley Hospital now occupies the site.